Another day, another bear! Today being Batman’s 75th birthday (which I didn’t realize yesterday was today. I would have waited on the Bearnamic duo.) I decided to do another Bat-chracter. I really like the new Batgirl design. I don’t know that I care about the book, but the character looks fantastic. That’s just good design! 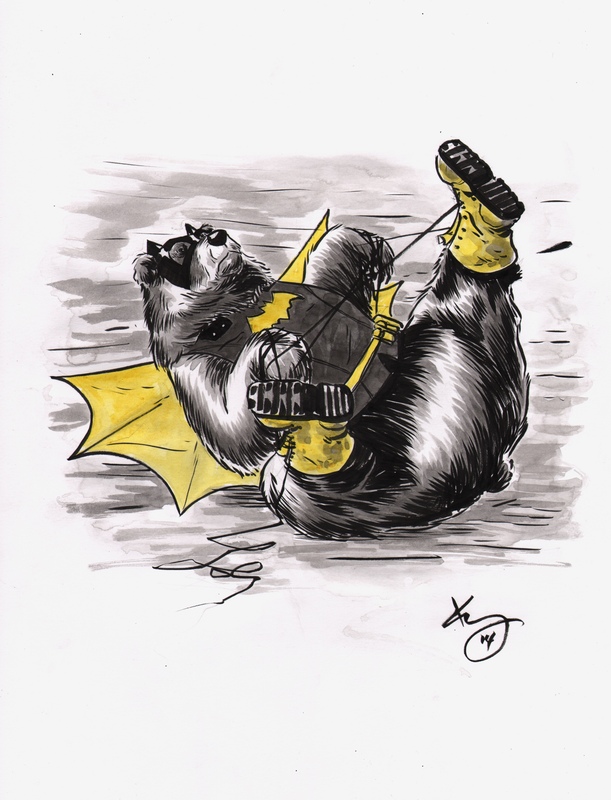 This entry was posted in alphabands, alphabeasts, alphabooks, alphabots, art, Comics, comics by kelly williams, fantasy, punk, Sci-Fi, Uncategorized and tagged 80's cartoons, alphabeasts, alphabooks, arkham, art, artistic process, batgirl, batgirl redesign, batman, cameron stewart batgirl redesign, comics, DC comics, drawing, drawings, fantasy, fiction, funny, heavy metal, horror, illustration, ink, kelly, kelly williams, monsters, new 52, pencils, sci-fi, sketches, treebeerd, undead, video games, williams, writing. Bookmark the permalink.